Made from staves of retired wine barrels, each stave is hand washed and sanded. 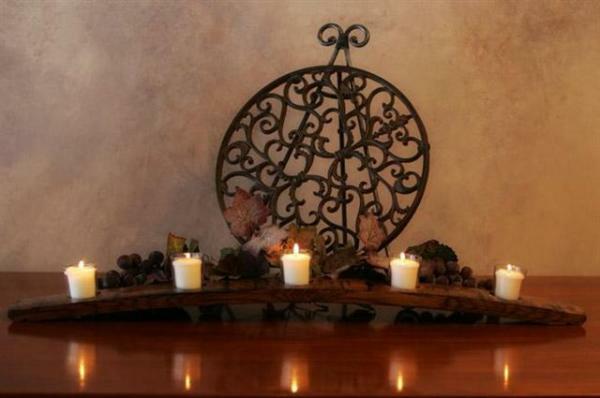 Five candles make this beautiful design a wonderful addition to your mantel or table centerpiece. Every candela is available in golden oak or black oak.